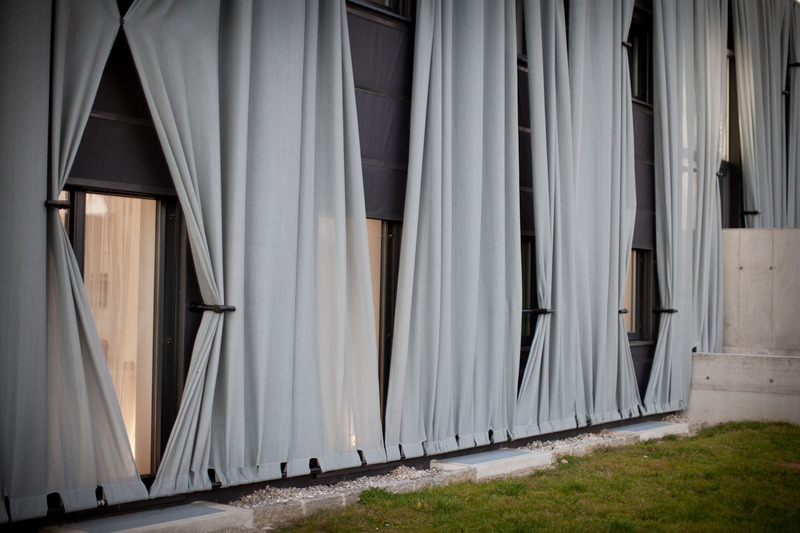 It is hard to see a building this dominated by elaborately-draped fabrics and fail to think of the installations of Christo and Jeanne-Claude, the artist duo who have wrapped such landmarks as the Reichstag and Pont Neuf in textiles. But while those works are frequently large-scale, public and artistic in nature, this intervention is a domestic solution for a converted residential property. 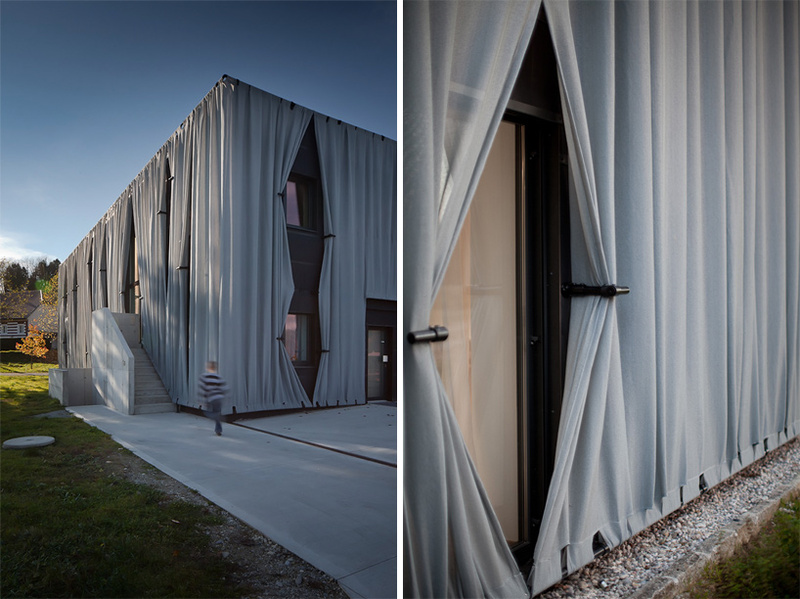 Hertl Architekten of Austria (with images by kurt hoerbst) reinvented this strange duplex shrouded in mysterious giant gray drapery, wrapped in enigmatic dark details, and ultimately inhabited inside a box-shaped enigma. 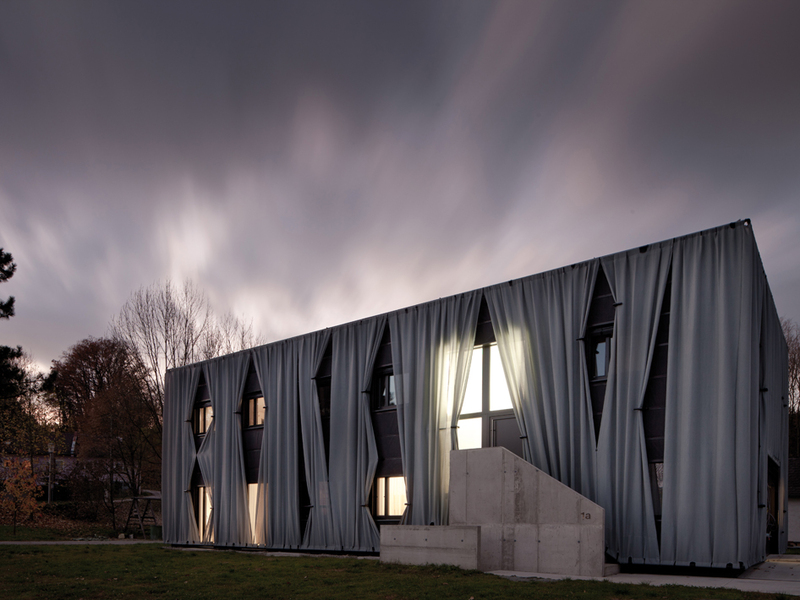 It’s not often you see curtains on the outside of a house, and with good reason; all that fabric could potentially disguise a perfectly good form. 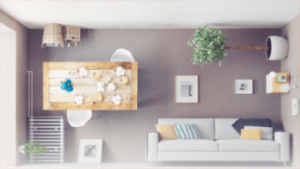 But you can see how they also have the potential to give a tired structure a whole new look, and offer some other functionality in the process. Like shades, shutters or curtains, these swaths of floor-to-ceiling fabric play a role in maintaining privacy and deflecting daylight, but on a much more massive and interconnected scale than mere window treatments. 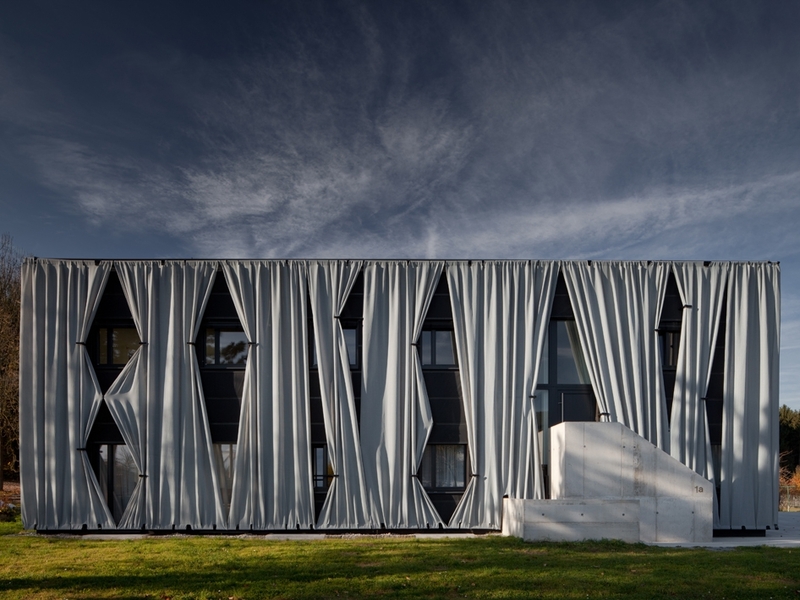 The patterns created as the exterior curtains push and pull around window openings are a whole dynamic order of exterior decor unto themselves (as well as the shadows they cast back inside). Within the building, two flats were fit into the bowels of a former restaurant. The flexible facade also masks this transformation, the material blurring the lines between one home and the next. It’s a fascinating way to temporarily alter the look of a building, and one that we’re surprised we don’t see more often. What if they had taken the idea even further using colorful fabrics, or by creating outdoor spaces defined by textiles as well? 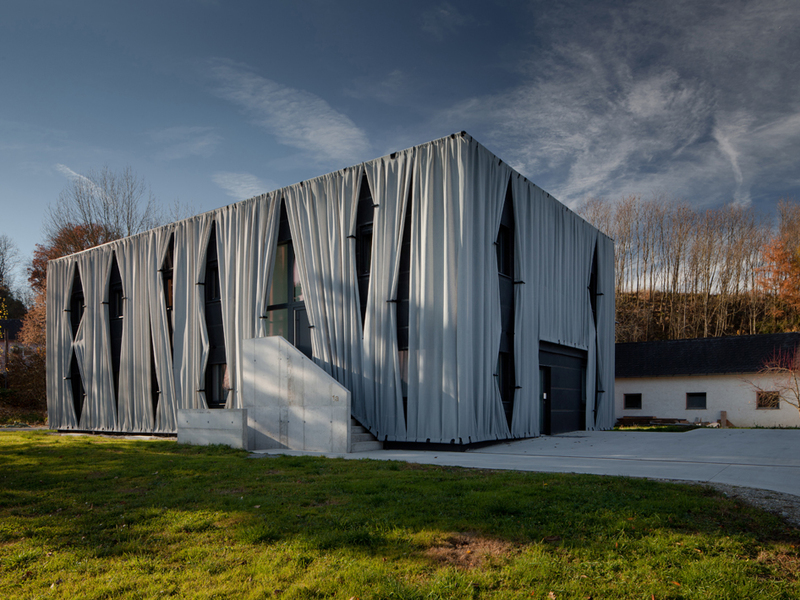 Know as Aichinger House, this project earned Hertl.Architekten a 2012 International Architecture Award from the Chicago Athenaeum.